Home » Apple News , iPad » Apple's Cheaper iPad 3 coming soon? 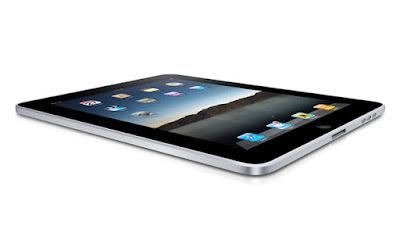 There are reports from inside sources of Apple that the iPad 3 could be coming this year and it will be cheaper. There are news that the companies like NovaTek Microelectronics, Richtek Technology, Integrated Memory Logic and Capella Microsystems are going to work with Apple and they will be supplying components and circuits for the iPad 3. It seems like Apple has finally realized that the costs of their products are a bit high and may be that’s why they contracted with the companies of Taiwan for the iPad 3 launch. This is not the final news. Some of the sources are saying that the cheaper circuits are going to be used because the cost of Retina Display (that might be coming with the iPad 3) will be much higher and by using the cheaper circuits, the cost will be balanced. But that’s not the final news. We are still waiting to hear some official words about it and we can hope that it will not be like its old version with just a little bit upgrade. Well, if this news is true, Apple fans must be really excited as they will see the iPhone’s next and the iPad’s next launch later this year.